Infrared thermal imaging cameras measure the temperature of an object without touching it. 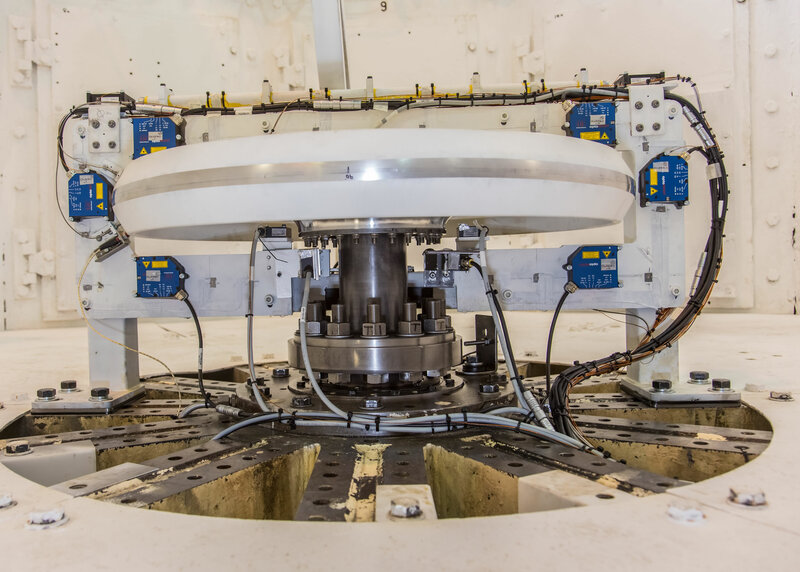 It is therefore possible to perform fast, reliable temperature measurements of moving or rotating objects, or components that cannot be touched. Not only are thermal imaging cameras now relatively inexpensive, they also offer numerous features and options, including software tools to simplify integration, alarm and limit functions for process control and high-speed recording for RD&T environments. It is now also possible to select thermal imagers that operate at specific wavelengths for particular materials, such as metals, ceramics and glass. For accurate temperature measurement using thermal imaging cameras, users must carefully consider two key parameters: emissivity and wavelength. All bodies above absolute Kelvin (-273°C) emit infrared radiation in three ways, via a combination of emitted radiation, radiation reflected from the surroundings, and by transmitting the radiation through itself. How these factors interact depends on the material of the object to be measured. However, for non-contact infrared temperature measurements, only the emitted radiation element is important. The relationship of the emission types to each other is best described in the following way. If at any given temperature, the sum of the radiation of the three emission types is equal to one, and it is assumed that solid bodies transmit negligible radiation, the transmitted element can be treated as zero. Therefore, the heat energy coming from an object only comprises emitted and reflected radiation. This is why objects such as polished and shiny metals can only have a low emission, or emissivity, as radiation from the surrounding environment is strongly reflected (and so proportionally high) from these surfaces. The emissivity of an object, however, will be greater or lower when monitoring the radiated heat energy at different wavelengths. Therefore, developing cameras that measure temperature at specific wavelengths that match the high emissivity of specific materials can considerably increase measurement accuracy and stability. For example, metals have their highest emissivity at wavelengths of 0.8 to 2.3µm, glass 5µm, textiles and most matt surfaces 8-14µm. Today, around 80% of thermal imaging cameras on the market operate over the wavelength band of 8-14µm, which means these cameras are only giving accurate and stable measurement on objects with high emissivity in this wavelength band. These are generally objects with matte surfaces. Metal or shiny surfaces cannot be measured accurately using thermal imagers that operate at the 8-14µm wavelength band. When selecting a suitable camera, it is therefore vital that the wavelength band over which it measures is known and is best suited to the object to be measured. The object emissivity values over this wavelength and the temperature range to be measured must also be known or calculated. If the camera supplier doesn’t have a specific wavelength camera for the material you need to measure, find one that does. Objects at higher temperatures emit more infrared energy, i.e. have a higher emissivity at shorter wavelengths. Micro-Epsilon has developed a complete range of cameras that cater for almost every conceivable target material. Specific wavelength cameras for measuring the temperature of hot metal surfaces, or the temperature of glass and glass products (including very thin solar panel glass) and silicon, as well as cameras that operate at 8-14µm for low temperature matt surfaces, are now available – all at affordable prices. The metal processing industry, for example, has traditionally believed that short wavelength thermal imaging cameras were very expensive, i.e. greater than £10-15,000 per unit, which made the implementation of these in multiple locations prohibitive. However, the reality is that specific wavelength cameras for metals are available from Micro-Epsilon at prices in the region of £3,000. Although this price is similar to current shortwave pyrometers (single spot temperature sensors) from other suppliers, the ThermoImager TIM series from Micro-Epsilon has more functionality than a pyrometer and provides temperature measurement images or video of a larger area. In addition, the license-free, fully featured TIMConnect software is supplied as standard with the camera, providing quick and easy set up together with a range of software tools and a developer kit. An integral process interface is provided on the cameras for input and output of analogue and digital signals (alarms, temperature values, etc.). Open connectivity drivers are also provided for software integration via Dynamic-link Library (DLL), ComPort and LabVIEW. Unlike a handheld thermal imaging camera, the ThermoImager is fixed into position in a production process or R&D laboratory to monitor the temperature profile of target materials or objects. The camera is well suited to process control, quality and RD&T applications across virtually all industries. Thermal imaging cameras from Micro Epsilon are designed for high speed, high accuracy measurements. The ThermoImager series of thermal imaging cameras is extremely compact at 45mm x 45mm x 62mm and weighing 250g, yet are rugged. The cameras are high speed, up to 128Hz frame rate, and offer very high accuracy, with thermal resolutions of 80mK and 40mK available. SPI Lasers, a UK-based manufacturer of fibre lasers, is using a thermal imaging camera from Micro-Epsilon in its quality control system on a variety of existing and new fibre laser products. 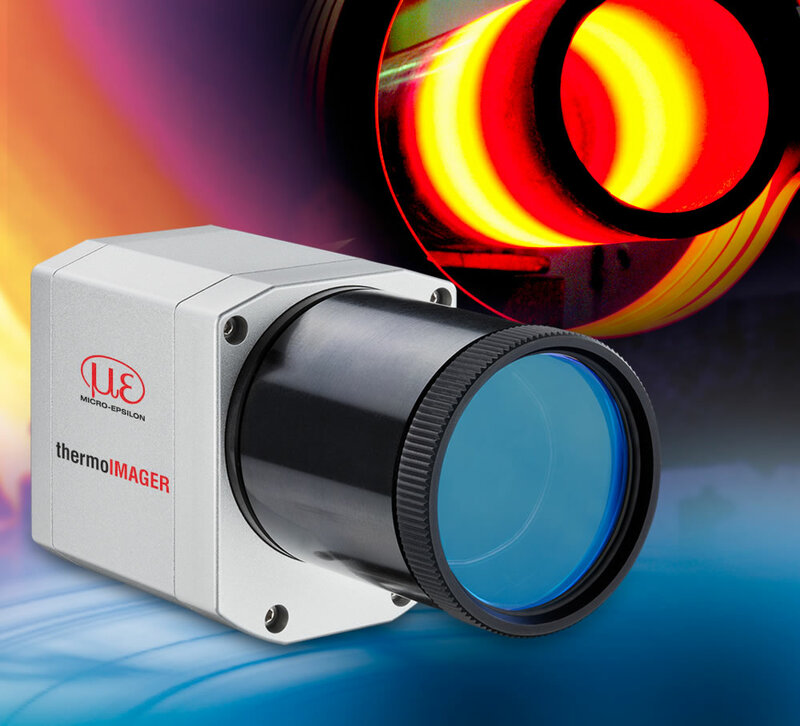 SPI Lasers selected the ThermoImager TIM400 because it required a thermal imaging camera that provided good software integration capabilities. The company has interfaced the camera to a variety of R&D and new product introduction (NPI) applications, where the company needs to log the temperature profiles of diverse laser components. The camera is able to log the temperature profile of laser components and output this data to other software programs. Glenn Wedgbrow is with Micro-Epsilon UK.